The viburnum leaf beetle (VLB), Pyrrhalta viburni, is an invasive insect that feeds exclusively on and can significantly damage Viburnum species. VLB is native to Europe and was detected in Canada in 1947. The first report of VLB in the United States was in Ne w York State in 1996. VLB is now found scattered across much of the northeastern US. In Wisconsin, an isolated infestation of VLB was discovered in Dane County in 2009, but was successfully eradicated. 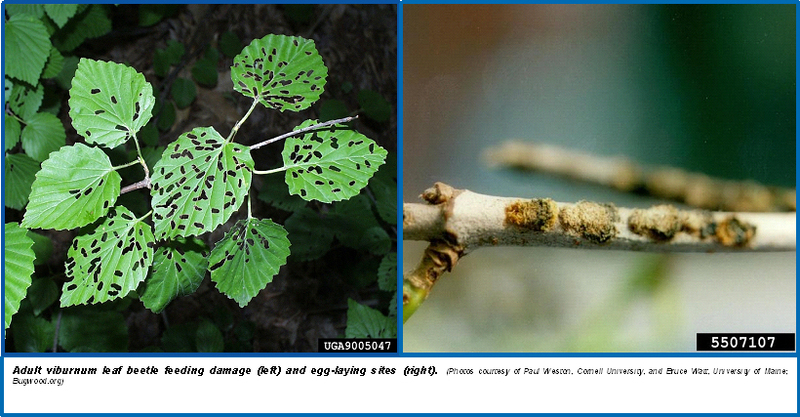 In 2014, VLB was detected on a mature viburnum bush in northern Milwaukee County and other nearby infestations were detected in June 2015. At present, all active infestations of VLB in Wisconsin are in northern Milwaukee County and southern Ozaukee County.